How To Work Plaid & Leopard Print Into Your Everyday Look. If I could only wear two prints for the rest of my life leopard print and plaid would be my life choices. I would have no regrets because two rights always make a right. If you're not sure how you could work these two statement pieces into your everyday look, then I am here to help. The easiest way for me was going the coat route. I love coats and have a few of them.. or more. But I always end up rocking my plaid one. In the winter months, I tend to wear a lot of black, so plaid brings that added punch that I love. Adding my leopard print to the mix brought the fun, that I try to find in all of my outfits. 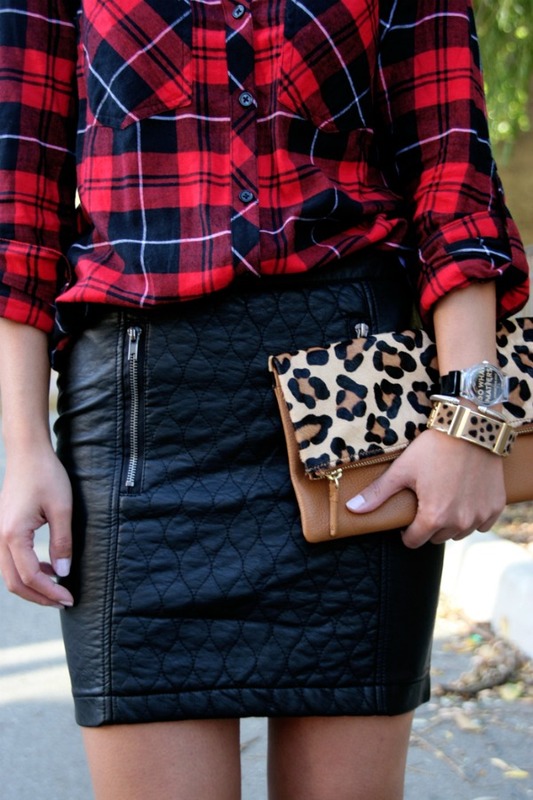 The classic plaid shirt and a leopard print clutch combo, a classic look but a definite statement. It's great when a favorite shirt and accessory come together to create a standout outfit. What you don't have plaid pants?? Me either and I don't have a good reason. I am obsessed with this look, I already have the clutch, and the pants are definitely out of the box - which means definitely up my alley. If you're like, AlixRose you're going to far out of the box for me then let's step back and go the accessories route. It's a simple way to ease your way into a look. So, if you're looking for a way to have a little fun with fashion during the cold months go for the combo that is just cool enough to dress up, dress down and rock every day. Love your look! 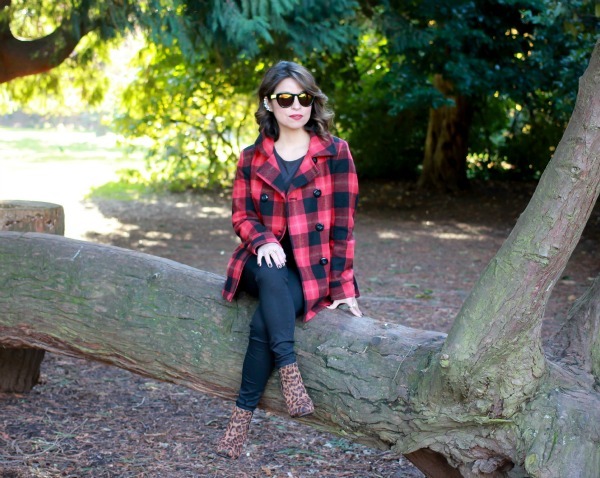 I just mixed plaid and leopard on my blog, too! It just feels natural to pair the two prints :) Happy Thanksgiving pretty lady! !